Many weddings, for better or for worse, have become gargantuan productions. It's not just the bride, groom, and their families, it's the many workers that float and flit behind the scenes making sure the day is exactly how the couple imagined it. It's pretty unglamorous work, but the folks behind the scenes work hard - I've seen them. It's ungodly hot or has dropped below freezing but they just keep their head down and work. Too often it goes by unnoticed. 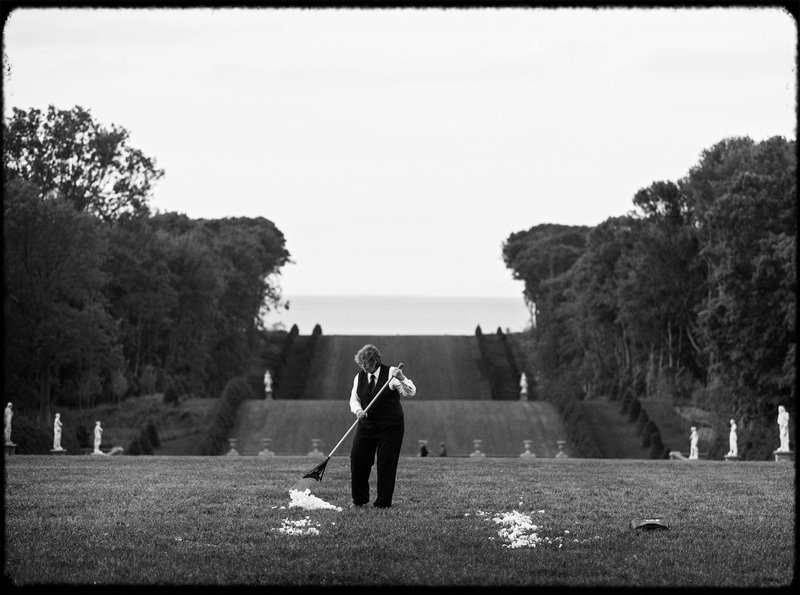 This is just a gentle little message - maybe more to myself then to anyone in general - next time you are at a wedding and someone is off in the corner running around cleaning up, prepping, sweeping, washing dishes, serving... take a second and say thank you. You are having a marvelous day and he or she is working to make that day the best it possibly can be for you. Please say thank you. Mean it. Your celebration would not be what it is without them. It is easy to say thank you and can brighten someone's day immeasurably to know that he or she is appreciated. I'm not sure when going out of your way to be grateful went out of fashion, but I'm bringing it back with a vengeance.